One of the last facial areas to be cosmetically enhanced is that of the temples. Not to be confused with places of worship and even having slightly different Latin word derivations, the temples anatomically are to the side of the eye along the side of the head. 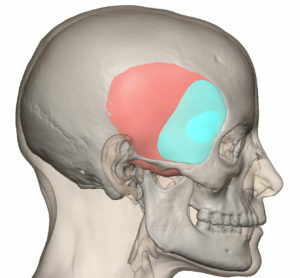 Aesthetically, it is a near isosceles triangle with the lower horizontal border of the zygomatic arch, the anterior border of the lateral orbital wall and the angulated posterior border of the temporal hairline. It usually has a very slight depression if a plumb line is laid across any of its borders. Temporal hollowing is judged to occur when the depression becomes greater than a few millimeters. Temporal bulging, which is much more rare, is when the underlying muscle pushes out the skin beyond the projection of its borders. 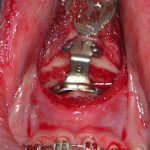 Temporal hollowing can occur because of genetics, extreme weight loss, medications and certain diseases, all creating resorption of the temporal fat pad. 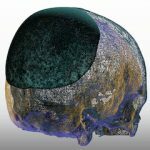 Temporal hollowing is treated today by injectible synthetic fillers and fat grafts and a variety of performed synthetic implants and allogeneic materials placed through a small incision in the temporal hairline.